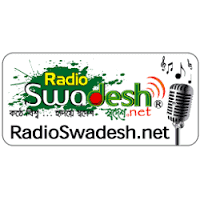 Radio Swadesh Bangla FM Live Streaming Online . Listen Over 50 Bangladesh FM Radio Stations online . Enjoy Live Stream of Bangladeshi Music,News 24 by 7 Online . Listen to the bangla Music online.If FM is not playing see the right Corner of the HomePage Sidebar to know what all softwares needed to listen the Fm . Refresh the page once if FM is not playing . RadioSwadesh.net was Founded on September 29, 2014 . First it was founded on October 2011 . Address : Skylark Point, 9th floor, 24/A, Bijoy Nagar, 75 Shaheed Syed Nazrul Islam Sarani , Dhaka, Bangladesh . It was started to provide free Internet Bangla Radio Service. After starting Official Transmission ,they are getting lots of response from others sites, companies and listeners . They tried to live broadcast from Bangladesh.